8-14 Girls Polly Playsuit https://www.review-australia.com/au/8-14-girls-polly-playsuit/RE19RK049.RENVY001.html Pretty and comfortable, the Polly Playsuit is an ideal soiree ensemble. This playful number is lightly gathered around the waist, neckline and sleeve cuffs. The front is fastened by self-covered buttons and completed with a soft tie detail at the waist. Let's not forget about the darling blue floral print that pops against the rich navy background! Pretty and comfortable, the Polly Playsuit is an ideal soiree ensemble. This playful number is lightly gathered around the waist, neckline and sleeve cuffs. The front is fastened by self-covered buttons and completed with a soft tie detail at the waist. 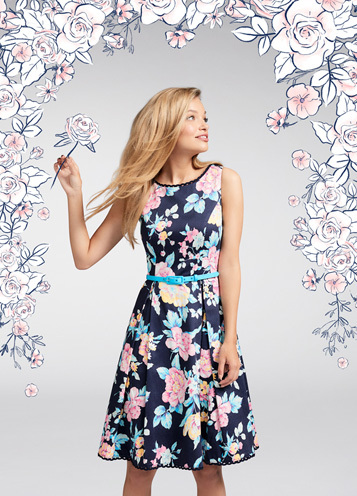 Let's not forget about the darling blue floral print that pops against the rich navy background!